Which fatty acids are healthiest? Discover how to balance your omega 3 6 9 ratio. Supplement of omega-3 and omega-6 fatty acids may improve reading skills of mainstream schoolchildren, according to a recent study. If you browse the web or walk into your local health food store, you’ll no doubt see an abundance of omega fatty acid products. These days, among the most popular supplements are fish oils; everyone is boasting over the health benefits of omega-3 fatty acids. But not so long ago, people were vowing that omega-6s, such as Gamma Linolenic Acid (GLA), were the healthiest fats. On the other hand, the popular omega-9 fat from olive oil has been promoted as the “heart” of all fats. If you don’t know your omega fat facts, all of this can be quite confusing! So, which fatty acids are the healthiest among the omega 3 6 9 trio? And, more important, how can you be sure you’re getting the best omega 3-6-9 ratio from your supplements or from the food you eat? Omega-3 fatty acids are considered essential fatty acids. That is, they are vital for our health, but the human body can’t make them on its own. We have to get them from our food. Of all the fatty acids, omega-3s are probably the most important. 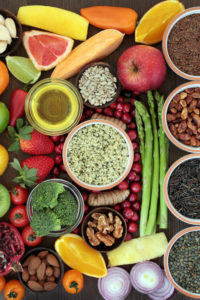 They reduce inflammation in the body and can help lower the risk of chronic degenerative diseases that plague the population—heart disease, high cholesterol, arthritis, dementia, and even certain types of cancer. Since the omega-3s cannot be created by the body, the easiest way to obtain the healthy fats is to eat cold water fatty fish such as salmon or to take a fish oil supplement. Specifically, the important omega-3 fatty acids found in fish oil are Eicosapentaenoic acid and Docosahexaenoic acid, or EPA and DHA. DHA is by far the most beneficial omega-3 fatty acid for the body because it plays a key role in maintaining healthy mental performance—cognitive function, focus, memory, and learning ability. EPA, although not as important as DHA, is still used by the body to help maintain circulatory and cardiac health. It also aids in brain health by increasing blood flow to it and influencing hormones and the immune system. Food sources for the omega-3s are challenging because a large majority of our modern day fish supply contains unhealthy levels of mercury and other contaminants. As a result, many nutrition-oriented physicians recommend a person should get a maintenance dose of 1000 mg (1 gram) of EPA and DHA (added together) on a daily basis. Like omega-3s, omega-6 fatty acids play a critical role in brain function. They also help stimulate skin and hair growth, maintain bone health, regulate metabolism, and maintain the reproductive system. Most of us, however, get way too much omega-6s in the American diet—as much as 14 to 25 times more omega-6 than omega-3s—as they’re abundant in popular cooking oils (soybean, sunflower, peanut, corn and canola oils). In fact, it is estimated that Americans obtain almost 20 percent of their total calories from a single source… soybean oil! Having this overabundance of omega-6 fatty acids can actually do us harm, promoting inflammation instead of decreasing it. And, many scientists today believe the main culprit behind the high incidences of chronic illness such as cardiovascular disease, diabetes, arthritis, obesity and cancer is the extremely imbalanced intake of omega-6 versus omega-3 fats. Unlike the 3s and 6s, omega 9 fatty acids are not considered essential fatty acids because our bodies can make omega-9s in small amounts. Omega-9s are used by the body when the omega-3 and omega-6 fatty acids are not readily present. Primarily, omega-9 has a positive health effect on the lowering of cholesterol levels, reducing of insulin resistance, and boosting the immune system. However, the body will eventually suffer from having a large amount of omega-9s if there is lack of the proper amount of omega-3s. One of the primary keys to good health is maintaining a proper omega 3 6 9 ratio of fatty acids in your diet. Researchers agree that the optimal omega ratio should be between 2:1 to 4:1. That is, you should consume at least double the amount of omega-3s compared to the other fats. Although soybean, corn, and canola oils are the omega-6 oils we should avoid, there are some healthy omega-6 fatty acids that do not cause inflammation and are actually good for the body. Truth be told, it isn’t so much that one omega is inherently bad and another good; we just need an omega 3 6 9 ratio balance. The table below shows the healthy omega-3, omega-6, and omega-9 fatty acids that you should consume regularly as part of your healthy eating plan. Remember, you should try to consume at least a 2:1 omega 3 ratio over the other fats (hence take your daily fish oil supplement!). So, the take-away message here is that you should choose the healthy sources of omega-6 and -9 fatty acids, while at the same time taking a daily fish oil supplement in order to keep a proper omega 3 6 9 ratio. Don’t get bogged down on calculating the numbers. Focus on the quality of your foods rather than the quantity: Avoid harmful cooking oils (soybean, corn, etc.) and instead consume the fats listed in the table above. Ross B, Sieswerda L. et al. 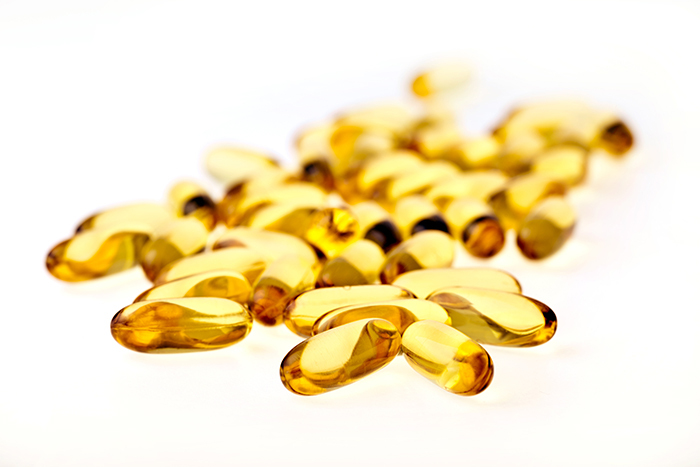 Omega-3 fatty acids as treatments for mental illness: which disorder and which fatty acid? Lipids in Health and Disease (2007) 6: 21.
arthritis, best omega 3, bone, bone health, brain, brain health, calories, cancer, cardiovascular, cardiovascular disease, cauliflower, cholesterol, cholesterol levels, coconut oil, cod liver oil, cognitive function, cooking, corn, dementia, depression, diabetes, diet, eicosapentaenoic acid, fish oil, food, good health, health, health food, healthy eating, healthy eating plan, healthy fats, heart disease, high cholesterol, immune system, inflammation, insulin, insulin resistance, memory, mental illness, mercury, metabolism, mufa, nutrition, nuts, obesity, obesity and cancer, omega 3, omega 3 6 9, omega 3 6 9 ratio, omega 3 fats, omega 3 fatty acids, omega 3s, omega 6, omega 9, pufa, reduce inflammation, skin, spices, supplement, supplements, types of cancer, walnuts. I like the helpful information you provide in your articles. I’ll check again here frequently. I am quite sure I will learn many new stuff right here! The Fatty Acid Food Sources chart is not oversimplified and not entirely accurate. There are much better charts available with a simple internet search.